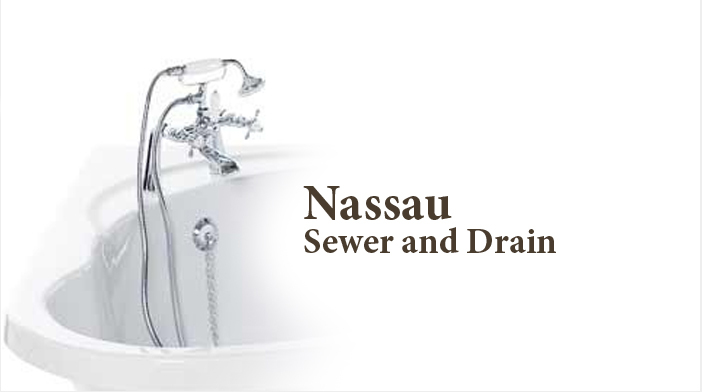 Nassau Sewer and Drain a family-run and privately-held corporation, is a full-service plumbing and heating supply providing high-quality. Our expertise and knowledge result from years of experience. We at Nassau Sewer and Drain pride ourselves on customer service and relationships. Care and professionalism are the order of the day when handling every demand large or small. Our know-how and technical skills allow us to carry basic plumbing and heating supplies, as well as specialized items that require additional knowledge and training for proper use and installation. We are familiar with local regulations to ensure that the items we carry meet applicable code requirements. Nassau Sewer and Drain staff has been trained to work efficiently, carefully, and with a proactive approach to all job conditions and circumstances. Not only do we keep the best interests of our client’s job in mind, we also maintain safe job conditions and make everyone's personal safety a priority! We specialize in ground-up construction and well as renovations, add-ons, and remodeling. If you can dream it, we can build it. We maintain control throughout the design and construction process to ensure that your residence is built to the highest quality standards. Providing a friendly personal service and guaranteed work at keen rates - no call out charges - quotes and advice! Nassau Sewer and Drain merged a wealth of experience and skill into a company that would earn a remarkable reputation as a leading plumbing and heating contracting company.